WE REQUIRE A CREDIT CARD TO MAKE A RESERVATION. WE WILL CALL YOU TO CONFIRM YOUR RENTAL THE MONDAY BEFORE PICK UP. THIS IS WILL BE YOUR LAST CHANCE TO CANCEL. YOUR CARD WILL CHARGED THAT DAY FOR BOTH THE RENTAL AND DEPOSIT. 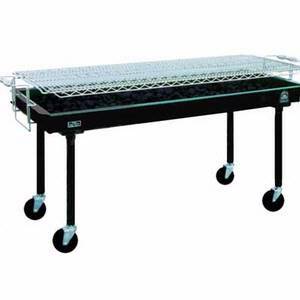 * Please call us for any questions on our grill 2x5 standing charcoal rentals in Sterling VA, Herndon VA, Leesburg VA, Reston VA, Chantilly VA, McLean VA and Greater Arlington VA, Alexandria VA and Bethesda MD.